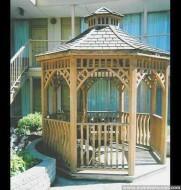 A simple 8ft Tattle Creek gazebo design built in Keswick, Virginia has an open structure in the outdoor setting. 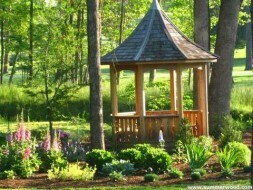 A great resting place for shade. 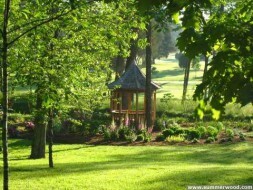 The Tattle Creek is the quintessential addition to any yard. 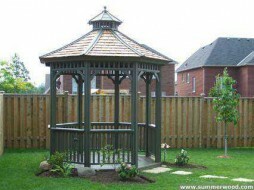 It provides shade and a sense of atmosphere that only Summerwood can provide. 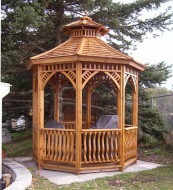 A simple 8ft Monterey gazebo design in has an enclosed structure with a natural finish and detailed railings. The perfect place to watch the sunset rise. What a beautiful scene. 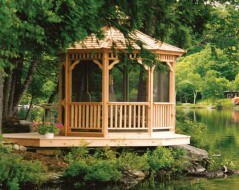 This gazebo provides the perfect spot to snuggle up and watch the sunset. 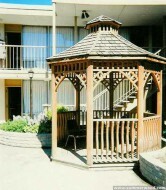 This 8ft Carlisle gazebo is home to Toronto, Ontario and perhaps these customers were planning a backyard wedding in this elegant building. The trim is reminiscent of the brocade on an elborate bridal gown. 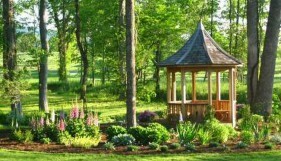 What a beautiful setting for this little Monterey. 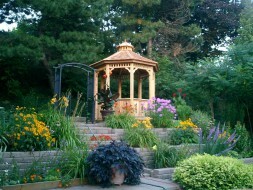 It completes this Torontonian garden wonderfully. 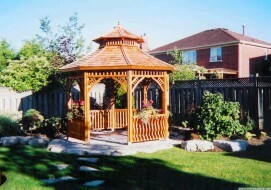 Small and sweet - this little Monterey 8' Gazebo adds a little personality to this backyard. 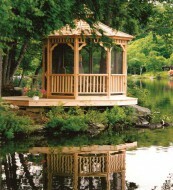 Notice how the owners' chairs both face out over the lake in this cozy 8ft Monterey gazebo installed in North Bay, ON, fitted with a classic screen kit. They have a special time of day when they like to sit and just watch. 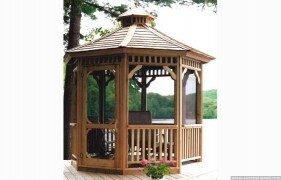 This 8-foot Monterey Classic gazebo in Untiy ID is a perfect hideway from the mid-day sun. 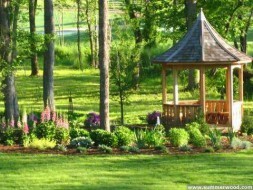 Notice the optional benching around the whole inside. 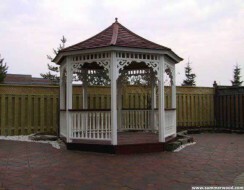 standing 8ft tall and located in Mississauga this Victorian gazebo kit can be customized to your requirements. 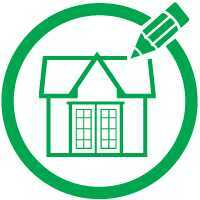 Perfect for those who like to enjoy landscape views. 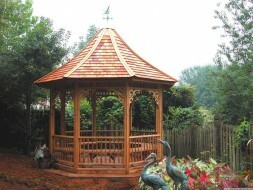 This intimate yet elegant 8-foot Victorian style gazebo in Modesto, California works hard to provide plenty of welcome shade in a very bright spot. 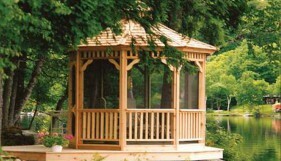 The staining job on the robust western red cedar will help it age gracefully. 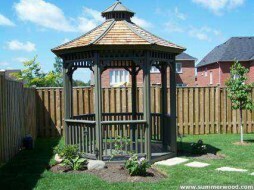 This 10ft Tattle Creek outdoor gazebo comes with lovely cedar shingles and is a great addition to your backyard to enjoy watch the summer night sunset. 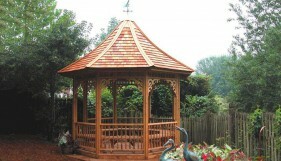 Crowned with a copper duck weathervane, it adds a certain charm. 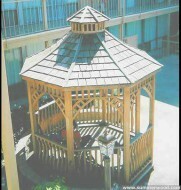 A 10ft Victorian gazebo finished in a soft grey stain featuring the customer's own designer asphalt shingles located in Fort Worth, TX. 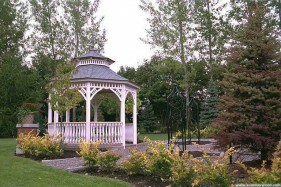 The beauty of the gazebos is enhanced by its stunning setting. 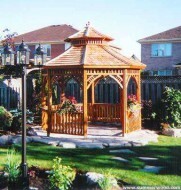 Our prefab 10ft Victorian gazebo design in Woodbridge, Ontario has a natural cedar finish with an open structure and detailed railings. 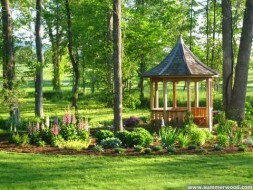 It is great for outdoor reading or relaxation.